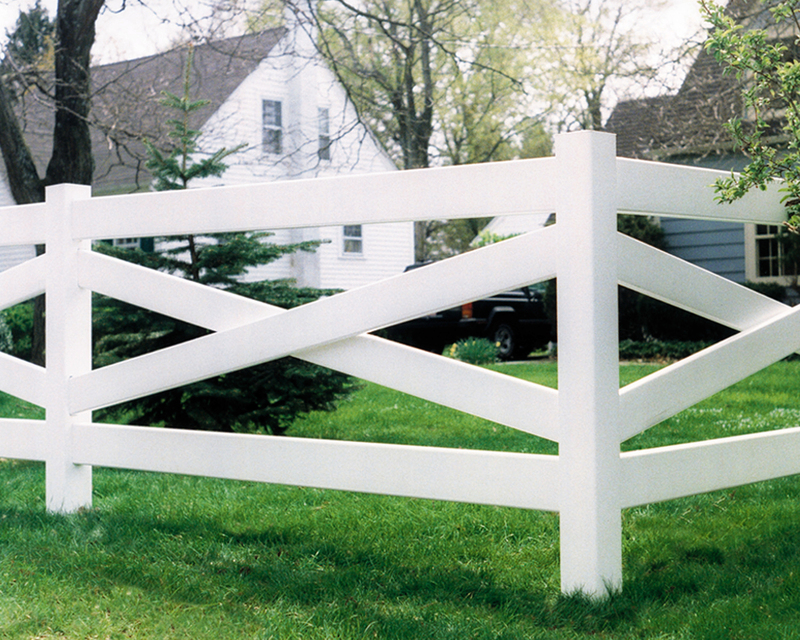 The Crossbuck vinyl fence is a decorative classic style with crossing center rails. It is a post and rail fence with two horizontal rails, and two boards in the middle that cross, creating an “X.” The crossbuck fence is aesthetically pleasing and practical. Though they are most associated with ranches with livestock and horses, this style of fence is recommended for decorative purposes only.